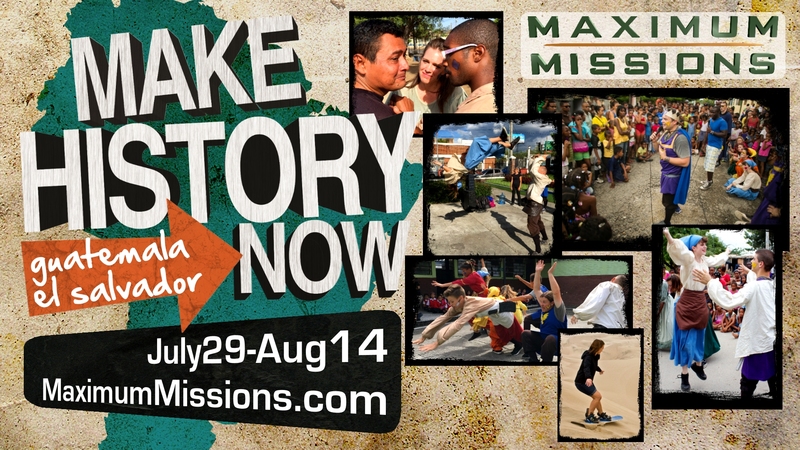 Get your adventure started today at maximummissions.com! Get ready for the adventure of a lifetime! Nothing is quite like being immersed in a new culture. You’ll get to eat new foods, see people living in houses very different from your own, and find out that all over the world, people worship God just like we do. After a few days of training for the trip, we’ll arrive in the country ready to spread the love of God. We’ll spend some time ministering in the city, and then go out into the villages and work with local churches to spread the message of God’s saving grace. What a terrific impact we will have as people come to a saving knowledge of Jesus Christ! The adventure will begin in Raleigh, NC, with three days of intensive training. We’ll spend time each day learning an evangelistic drama. An allegorical pantomime set to music, The Kingdom is an 18-minute drama set in medieval times that demonstrates Christ’s saving grace. No drama experience is required to take part in this powerful drama, just lots of energy! We will also learn some of the local language, and more about the nation’s culture. By the time you depart, you will be prepared like never before to minister God’s love to other people. Once we arrive in the country, you will wake up each morning anticipating a day filled with sharing God’s love with the local people. We’ll spend time alone seeking God and preparing our hearts for the day ahead. Next, is breakfast, costume and makeup time. Then we’ll load up and head out to the first drama site. After setting up a basic sound system, we’ll begin playing some loud music and doing some fun stunts to attract a crowd. We will do some evangelistic dramas, give testimonies, and love on the people. When the drama ends, we will invite people to choose God as their Savior and Lord. We’ll spend some time in one-on-one ministry, praying with people individually, and then it’s time to pack up and head to the next drama site! You will be immersed in the local culture, unlike any other trip. You will see incredible sights, meet fascinating people and experience what it is like for God to use you to change someone’s life! Tired, but filled with memories of the day, we’ll go home to dinner, rest, free time and some group ministry. We won’t minister every day! Imagine spending your free days viewing ancient ruins or touring in the city. Or maybe you’ll spend the day browsing at one of the many open-air markets looking for just the right souvenir to remind you of this once in a lifetime adventure. On past trips, we have climbed a volcanic mountain, rafted through the rainforest, snorkeled in the Caribbean and sand-boarded down a dune. Each trip holds different free day adventures, but it’s always amazing!